Broadway legend Mary Martin (1913-1990) was born at this address – “a big, rambling house,” as she called it; it’s now a B&B – to a father who was a lawyer and a mother who taught violin. Martin attended elementary school right up the hill from the house. 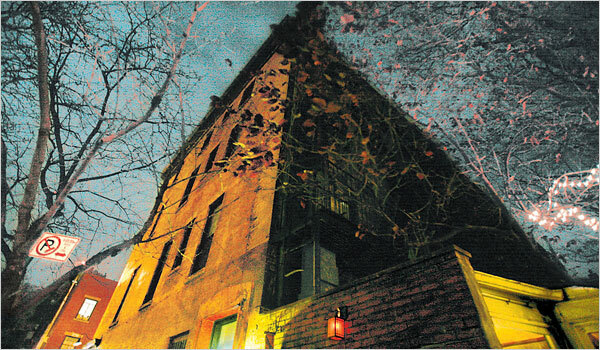 The family later moved to 314 West Oak Street. When Martin was an 18-year-old wife and mother, starving for meaningful work, her older sister encouraged her to open a dance school, and her supportive parents built her a studio at 311 West Oak. There she ran the popular “Mary Hagman’s School of Dance” for three years, serving several hundred students during that time. Married twice, the first time at age 16, Martin left her first husband and young son (actor Larry Hagman) to pursue a career in Hollywood and on the stage. Her second husband, Richard Halliday, liked to shop for antiques with his mother and decorate their home and Martin’s various dressing rooms – you figure it out. Martin enjoyed a lifelong companionship with actress Janet Gaynor, whom she called her “closest, most special friend” and who was in a lavender marriage with costume designer Adrian. Martin’s intimate circle included other queer theater figures, such as Katharine Cornell and Alfred Lunt and Lynne Fontanne. One of the greatest Broadway musical stars of all time, Martin created the roles of Maria Von Trapp and Nellie Forbush on the stage, but is probably best remembered for her portrayal of the boy who refused to grow up, Peter Pan. In the 1950s and ’60s, she flew into our living rooms in a televised taping of the stage play, singing such classics as “I Won’t Grow Up” and quickly becoming a lesbian icon. She epitomized the popular lesbian aesthetic of resistance to gender norms. In her honor, a statue of Peter Pan sits in front of the Weatherford Public Library. Martin is buried in the East Greenwood Cemetery in town. Harry Hertzberg (1884-1940) was a prominent local lawyer and state senator, who was also gay, according to recent research. Hertzberg and his longtime partner, Tom Scaperlanda, were circus fans who began collecting Big Top memorabilia in the ’20s and amassed one of the largest collections of that type in the country, totaling more than 42,000 items on circus history from 1893 to the 1930s. Among the items collected were a miniature model of a three-ring circus, posters, photographs, sheet music, costumes, literature, and specialty items, such as an 1843 carriage built for Tom Thumb (above), and memorabilia from Buffalo Bill’s Wild West shows. The two men left their collection to the City of San Antonio, and, beginning in 1968, many items were on permanent exhibit at this location, a former public library. Unfortunately, in 2001, the museum closed due to the deteriorating condition of the building. Two years later, the city reached an agreement with the Witte Museum to take in the circus collection. The book and document archives are still in the San Antonio Public Library system and are available on an appointment-only basis to researchers (210-207-2500). 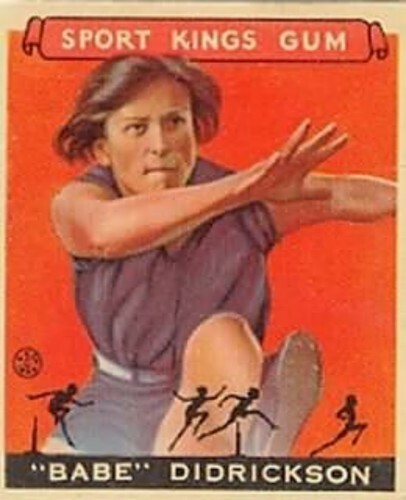 And she was indeed an athlete who did “some winning.” From 1930 to 1932, Babe held the American, Olympic, or world records in five different track and field events. After her stunning gold-medal victories at the Los Angeles Olympics in 1932, one newspaper headline declared, “Babe Breaks Records Easier Than Dishes.” When she returned from her Olympic triumph, Babe’s father built an apartment for her and her sister on the second floor of the Doucette Avenue house, consisting of two small rooms, a hallway, and a bathroom. Her sister called the bathroom “Babe’s Hollywood bathroom…the most beautiful bathroom in Beaumont,” complete with a bright green tub like one that she had seen and admired in Los Angeles. Babe went on to excel in numerous sports, including softball, bowling, javelin throwing, boxing, billiards, tennis, and diving. But her greatest distinction by far was as a golfer. In 1935, she came under the protective wing of Bertha Bowen, a powerhouse in Texas golf, who not only helped her game but transformed her looks and physical demeanor as well. Babe – whose “masculine” appearance and competence in male sports had given rise to the suspicion that she was a lesbian – went from cross-dressing to cultivating a traditionally feminine look, including skirts, waved hair, rouge, red nails; she even acquired a husband, the wrestler George Zaharias, in 1938. During her short career, the “ultimate Amazon” won 82 professional and amateur golf tournaments; was named Associated Press’s Woman of the Year six times; and was a founding member of the Ladies Professional Golf Association (LPGA). Babe is buried at the Forest Lawn Memorial Park, 5220 Pine Street, in Beaumont. The state of Texas maintains a historical marker at her gravesite.